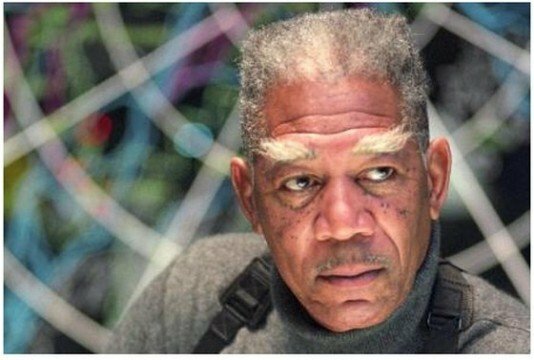 Though you’d expect Morgan Freeman to be joining Christopher Nolan’s Interstellar, the actor is throwing us a bit of a curve ball and will instead be signing on for Transcendence, the directorial debut from longtime Nolan collaborator Wally Pfister. It may not be as good as seeing him join Nolan’s film but hey, at least Freeman is keeping within the family, right? The actor joins Johnny Depp, Rebecca Hall, Kate Mara and Paul Bettany in the sci-fi film, which was penned by Jack Paglen. Though the project is being shrouded in much secrecy, obviously, we do know that the story will revolve around an “assassinated scientist who has his brain uploaded to a computer.” No details on Freeman’s role have been revealed just yet but when we hear more we’ll let you know. Production begins later this month in LA, with an April 25th, 2014 release date penciled in for the film. Until then, all we can do is speculate as to what this Christopher Nolan-produced film will offer. We’ll also be hoping that maybe Freeman will be able to do both Transcendence and Interstellar. Wouldn’t that be something? It wouldn’t surprise us either. So far, I think Pfister’s directorial debut is shaping up quite well. The talent is certainly there, and Pfister, who is an Oscar-winning cinematographer, has demonstrated that he’s quite gifted with a camera, so all things considered, I think Transcendence will be a unique and exciting entry into the genre. Plus, Nolan is attaching his name to the film by acting as producer, which gives us a lot of faith in the fact that Transcendence is set to be something special. What do you think of Transcendence so far? Are you happy with how it’s shaping up? Excited to see Morgan Freeman join the cast? Let us know in the comments below.